I got bored one night and decided to travel to Mustafa Center alone so I could document it and share it with you guys. Mustafa Center is a 24 hour shopping mall located in Little India. It's where a lot of people go to shop for bargain finds and if you're planning a trip to Singapore, it's also probably one of the places that people will recommend you to visit. I'll tell you now though, it isn't for everyone and it isn't really that cheap either coming from someone who lives in Manila. Singapore is the most expensive city in the world (130% more than New York, trumps Paris, Tokyo and everyone else. see here) so what they may call "a bargain" there doesn't necessarily translate to something really, really cheap. Having said that, for the sake of experience and travel, I guess it's still worth checking out but I suggest doing it late in the night on a weekday. It can get really crowded and crazy on weekends and if you're a tourist and prefer to browse before you shop, it might get a bit irritating and impossible (Mustafa has been fined for going over their capacity limit several times). So like I said, I went at around 11:30pm. I had to take a cab because the buses and trains stop operating at around 10:30pm and you're only option is to hail a taxi which charges an extra $3sgd after 10:00pm. Mustafa Centre is an old and dirty shopping mall that looks like it hasn't been repaired or renovated since it first opened in the 1980's. Think Cubao/Recto and the old shopping malls there. For me, it's only charm is that it is open 24 hours and you can visit it anytime you can't go to bed. 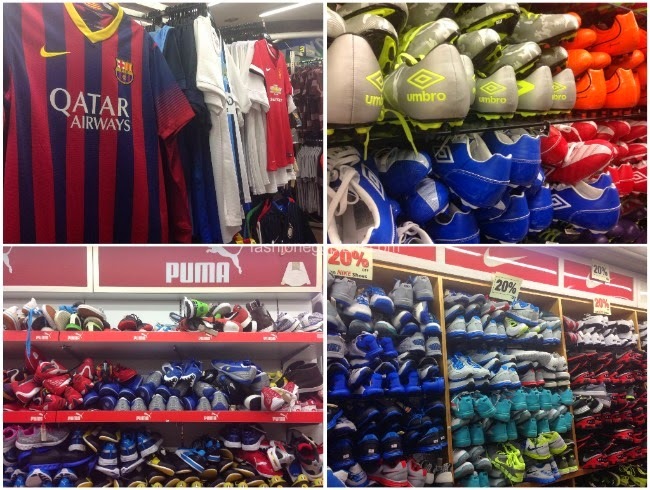 It's also where you can find gadgets, flashlights, hardware stuff, dvd's and much, much more. Mustafa also has a grocery that's loaded with lots of goodies you can take home as gifts. There's papadom chips, durian candies and lots of other interesting snacks that I didn't see anywhere else. They also have popular western favorites like Cadbury chocolates, Pringles, etc. Mustafa is also a pretty cheap place to buy souvenirs at. They've got all the cheesy "I love SG" merchandise in stock and they usually offer deals for multiple purchases. They also sell branded luggage and LOADS of cosmetics but they're so messily displayed, it makes them appear fake, old and dirty. But again, like I said, it isn't impossibly cheap. It costs around the same as most outlets here in the Philippines. Only difference is, ours are cleaner and more organized. But that still isn't guaranteed! 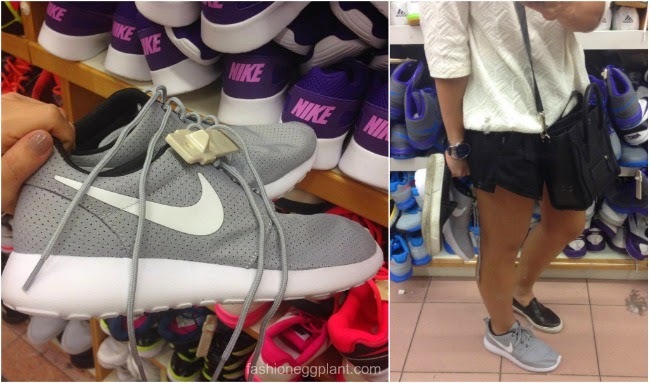 I found this pair of Nike RosheRun's sticking out from a shelf stocked with a different style. I checked and saw it was a size 9, I was planning to buy it for Dennis but when I checked further, the other pair it was attached to was a size 6.5. After asking for assistance from an Indian fellow (whom by the way was very nice and helpful), I found out that these were actually for women. I'm a 6.5! Perf, so I decided to get it for myself instead. Good thing there were only a few pairs of this left so it didn't take too long for us to find its partner pair. This cost me only $79usd (about Php2750) so this was a pretty good steal, then again, you'll be able to find similarly priced sneakers in our local outlets but hey, I was on holiday so I might as well. Also really liked the colorway. They also had Reebok Nano Crossfit Shoes but only in white. These were also cheap, around Php4000 if I remember right? I got my pair from the states and I think I paid around Php6,000 for them cause they weren't on sale. 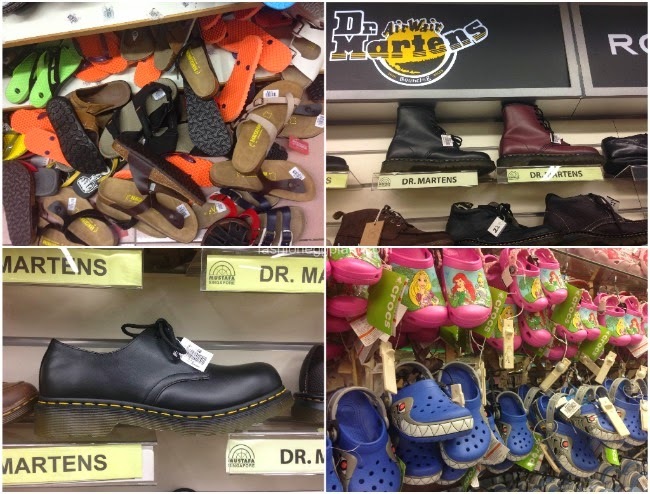 Crocs for kids are also relatively cheaper. About $40sgd (Php1300). That's the first post of my Singapore Travel Diaries. Hope you like it :) Feel free to leave your questions and suggestions in the comments section below.